Fariba Amani vanished while on a Bahamas Celebration cruise ship sometime last week and nothing but tension seems to be definitive in the case. Between the woman's family and the boyfriend who reported her missing, it seems that this investigation is going to be interesting to say the least. The missing woman's boyfriend has finally spoken to the media after several days have passed. With Fariba Amani still missing, and little details presenting clues to her whereabouts or what happened to her, the speculation is thick in this case. The 47-year-old Port Moody woman disappeared while on a cruise ship traveling from the Bahamas to Florida. It was around 1:00 in the morning on February 29, 2012 when Ramiz Golshani had last seen her. He claims to have gone to sleep while she was still out and about enjoying her night, but when he woke up the following morning she was not there. He reported her missing by 8:00 that morning. "You don't know what happened to me over the last week. I haven't even slept for 10 hours in one week. Last week, at this time, we were sitting and watching a comedy show on the ship. Two hours after this, she was missing. I am missing a loved one - both families love her. We want her safe back home right now." On the other hand, Fariba's family aren't too trusting of what Ramiz is saying. The story coming from their end indicates that the 47-year-old was a naive and trusting woman who was in a troubled relationship with Galshani. A private investigator with the family's side claims that the woman sought him out at one point to investigate a cheating boyfriend. He says that she contacted him worried about what he'd do to her if he discovered that he was being investigated. An employee of the cruise line says that the morning Fariba was reported missing, her 46-year-old boyfriend wandered around the ship for a while before he decided to even tell anyone she was missing. This was, of course, after he woke to find that she'd been out all night. While to some this may seem like strange behavior, he could've simply been confused and searching for her. That in and of itself doesn't seem like anything out of the ordinary. Fariba Amani is reportedly presumed dead, lost at sea, but it's still important to hold on to hope that the truth about what happened to her will eventually be revealed. Was she the victim of a domestic dispute turned fatal? Was she harmed by another passenger or even an employee of the cruise line? Could she have gotten drunk and fallen overboard accidentally? Anything is possible. I am thinking it is not safe to go on cruises at all anymore, not with your husband or your boyfriend. A woman who vanished while on a tropical cruise between the Bahamas and Florida thought about breaking up with her boyfriend before the ill-fated journey, her sister said. The family of Fariba Amani -- the woman reported missing by her boyfriend on Feb. 29 -- says she had a tumultuous relationship with Ramiz Golshani. As the search for Amani continues, her relatives have begun raising questions about Golshani's credibility. Golshani was expected to break his near total silence yesterday, but clammed up, saying he was too fragile to talk to the Vancouver Sun. 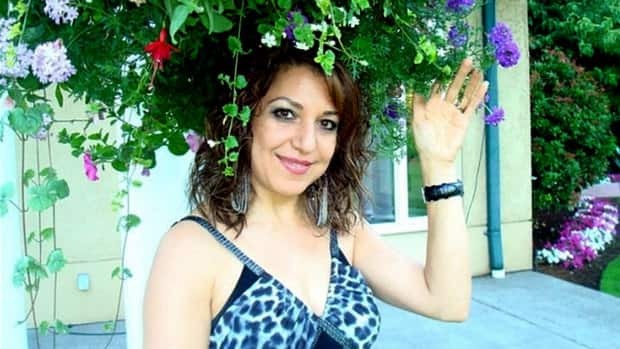 Amani, a beautician from British Columbia, was reported missing at 8 a.m. by Golshani when their Celebration Cruise Line docked in Riviera Beach, Fla. He said the couple parted ways at 1 a.m. the night before when he ducked into a casino and she headed for the gift shop. When he woke up in the morning, he told authorities she was nowhere to be found. Authorities interviewed Golshani and have not named him a suspect, according to media reports. But Amani's family has grown suspicious of Golshani, 46, whom they never met. "I don't think this was accidental," said Saloumeh Amani, Fariba's sister, according to ABC News. "She didn't drink, she couldn't have just stumbled and fallen off board,"
Since the mother of two vanished, her relatives said that Golshani hasn't contacted them -- raising doubts in their mind that he's told the whole truth. Saloumeh said her sister described Golshani as controlling, according to ABC News. The relationship was also falling apart and Amani suspected her beau might have cheated on her, the network reported. According to her sister, she intended to end the relationship when she got back from the vacation, the CBC reported. While Golshani has kept a low profile, he briefly spoke to the Vancouver Sun to say he's in no shape for an interview. "You don't know what happened to me over the last week," he told the Vancouver Sun on Tuesday. "I haven't even slept for 10 hours in one week. Last week, at this time, we were sitting and watching a comedy show on the ship. Two hours after this, she was missing. "I am missing a loved one -- both families love her. We want her safe back home right now," he said. Not only do the family members criticize Golshani for his silence, but they feel left out of the loop with the investigation spearheaded by the FBI. A search of the 1,100-person cruise ship turned up her passport and possessions in her cabin, but there was no other trace of Amani . The Coast Guard trolled the waters between the Bahamas and the Florida mainland without success. This reminds me of the Lynn Jackenheimer case. Same thing. Lynn almost did not go w/her bf and father of her children but did and now she's dead. Horrific!